Editor’s Note: The following article was written by Shelbe Walker. Here at Bloomsburg University, there are a variety of clubs and organizations to get involved in: there’s student-run organizations, club and intramural sports teams, and even work-study jobs available throughout campus, but one of most popular organizations to get involved with is Greek life. Most people go to college with the idea that Greek life is just a big party scene, and that you’re paying to have friends, but it’s much more than that. In fact, Spring rush is just around the corner, so take the risk and see for yourself what Greek life is all about. “I never thought I wanted to be in a sorority until I came to Bloomsburg and found out what Greek life was really about during rush. The Greek atmosphere just seemed like something that I could consider home and gain so much opportunity from, and it’s proven me right so far,” said junior Theta Tau Omega member, Jennifer Yurick. Bloomsburg has 12 sororities and 16 fraternities active throughout campus, and recognizes 28 different Greek organizations in total, making Greek life very diverse and popular. With regard to sororities, the majority of the local organizations have between 50-60 active members. As for the national organizations, both sororities and fraternities, have around the same amount of active members as the local organizations, but the number varies depending on their national requirements. Throughout Bloomsburg, there eight sororities with chapter houses that are represented by their respective letters. The fraternity houses here vary by year and are not represented by their respective letters. 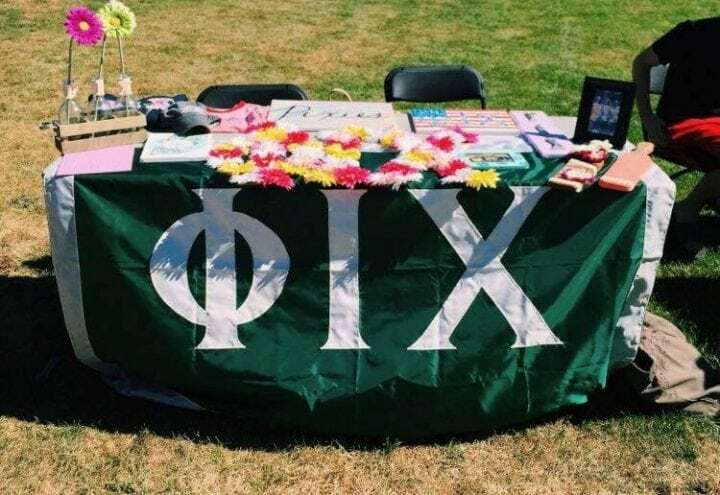 “I remember when I first visited Bloomsburg’s campus, I was surprised to see the amount of people wearing Greek letters; it just seemed like the ‘it’ thing to be involved in,” said sophomore Phi Iota Chi member, Emily Fabri. Many incoming freshman, transfer students, and even upperclassmen question if Greek life is the best decision for them, but it’s just another risk that they have been exposed to during their college years. Taking that risk is the first step to potentially finding your college home, but it’s also much more than that to some. For some, it’s finding those life-long friendships, having a forever tie back to your alma mater, or for the simple joy of being involved within the community. “For me, joining Greek life was one of the best decisions I have ever made. It’s crazy to think that four semesters ago I didn’t know the group of girls I now consider to be my forever friends, and that one day will be my bridesmaids,” said Yurick. On the other end of the spectrum, there are those who aren’t in favor of Greek life. Joining Greek life does have its advantages, but it also has it’s disadvantages as well. A major downside, is the cost of being an active member. Each semester a due fee is charged to each member of Greek life, and if this requirement fee is not paid on time, the member’s active membership is put on hold. The semester due fee does vary based on the organization, but in most cases, it’s not cheap. 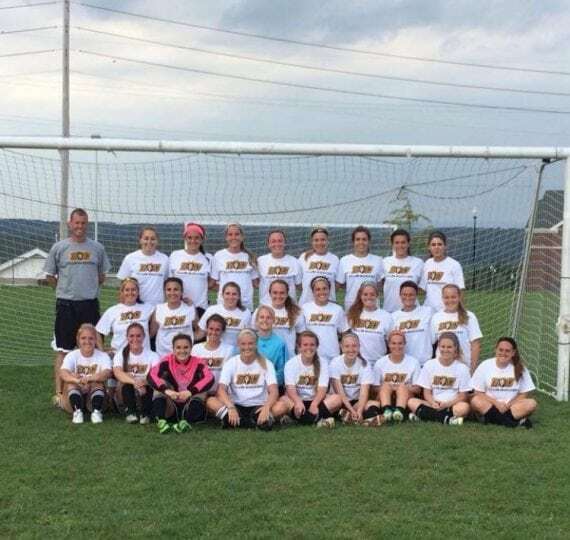 The Bloomsburg Women’s Club Soccer team. “If you’re willing to spend the money and you have the time, then joining Greek life may be for you, but it wasn’t for me. I found happiness within other on-campus organizations, like Best Buddies and the Women’s Club Soccer Team,” said senior Women’s Club Soccer president, Paige Tappert. With being an active member, aside from expenses, there is also a certain amount of time that has to be yielded to the organization. All of Greek life on campus is involved in philanthropy and community service, as well as fundraising. All of these activities are for good causes, but are very time-consuming. I mean, let’s be real, finding time to eat or shower is already hard enough with the amount of work and studying we, as college students, have, let alone taking hours out a week to do these activities. “I love that my sorority is involved with the community through our philanthropy events and community service work, but it is a lot of dedication and time, and it does get hard with juggling school work,” said Fabri. If you’re questioning whether or not to get involved in Greek life, don’t stress, it’s only natural with all the stereotypes that come along with it, but just like anything else, it’s a risk you have to feel comfortable taking to maybe find yourself in the college environment. The key is to take that risk, and find that “thing” that you want to become a part of. “I took the risk of getting involved with Greek life, and it has been one of the best decisions I have ever made,” said Yurick.